What is an Iowa Non-Compete Agreement? Iowa Non-Compete Agreement: What Is It? In Iowa, a non-compete agreement is a way that allows businesses and companies to protect their trade secrets and business interests by receiving a promise from their employees that they will not divulge sensitive trade secrets or company information to competitors. Non-compete agreements are legally enforceable and prevent an employee from spreading sensitive information by exposing them to fines, reparations, and possibly jail time should they violate the agreement. 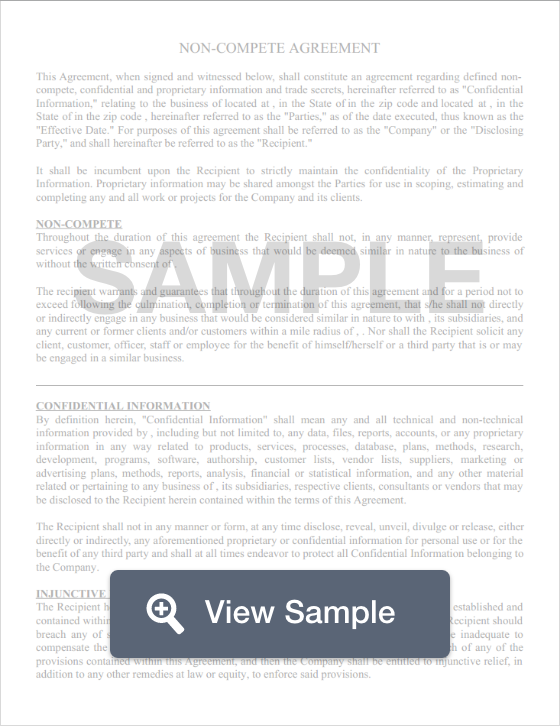 The state of Iowa doesn’t have any laws that regulate non-compete agreements, however, Section 523H.8 - Renewal of a Franchise describes that non-compete agreements may not be used against the owner of a franchise when canceling a franchise contract when the owner has at least a six (6) month notice.